As a third generation home builder, Mike started framing houses for his grandfather and father in high school, which taught him at an early age how important the "bones" of a home are. After years of learning his trade and absorbing decades of knowledge and wisdom from his forefathers, Mike founded his own company in 1994, and is now an accomplished builder in his own right. Mike believes that building a home is not just tools and materials - it is about trust, integrity, quality, and communication. Rather than just building a house, Mike strives to provide exemplary service, and that means taking the time to listen. He will give you the personalized attention you deserve, taking the time to understand and serve your unique needs throughout the building process. With his in-house designer/draftsman, Mike can help create a unique home, personalized to the needs and desires of your family. Work with Mike, and you will come out of the project with not just a house, but a home. Rate and review Mike Love Construction in Park City, KS, United States! 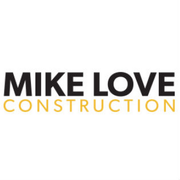 Share your experiences at Mike Love Construction with your friends or discover more Home Decor in Park City, KS, United States.